Preschool Advantage relies upon private contributions to fund preschool tuition for the children of working families in need in Morris County and surrounding communities. Your contribution is necessary and appreciated! 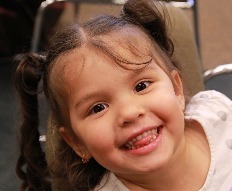 ​All donations to Preschool Advantage are tax deductible in accordance with applicable tax laws. For more information on monetary gifts, call 973-532-2501 or email development@preschooladvantage.org. If your employer provides matching gifts, please enclose the form.